Huh, that's an interesting point. I never thought about that before, but you may be on to something there. Now that all the keyblade wielding trios have been reunited (minus Sora, but he won't be down for the count for long) there are already more than seven wielders of light. So I could very well see them intending for this to be relevant in some way. Elrena/Larxene and Lauriam/Marluxia may also join the ranks. I don't know for sure, since Larxene didn't seem interested in repenting for her actions when she faded away, but Marluxia seemed to be admitting that he was feeling some kind of emotion, and I got the distinct sense that he was feeling guilt for his actions. There's also Luxord, who seemed to be somewhat repentant. And we all know that Demyx switched sides with Even. And we can only assume that Demyx and Luxord were keyblade wielders during the age of fairy tales, but who knows for sure at this point? Anyways, I like this detail. You very well may be onto something. I would personally like to see Sora, Riku and Kairi with pirate outfits in the Caribbean, navegating on the Leviathan. This might not be a surprise for anyone around here, but I noticed some time ago that Kingdom Hearts' story seems to protect something that we could call "the power of the Trinity". Basically, groups of three individuals where all of them share one kind of connection. For example, two opposite poles (Light and Darkness) and an element that balances them. Or the three elements that are part of something, like the parts of a world: Geosphere (Earth), Hydrosphere (Water) and Aerosphere (Air). 1º) Sora, Riku and Kairi: The main trio, obviously. 2º) Ventus, Terra and Aqua: The trio from the past. 3º) Mickey, Donald and Goofy: Disney's trio, even although Donald and Goofy use to travel with Sora, they should travel with Mickey now. 4º) Roxas, Axel and Xion: I believe this trio will suffer a change in the future. I believe that in the future, Axel and Saix will make their own trio with the mysterious girl they are looking for. And someone else should take Axel's place with Roxas and Xion. 5º) Hayner, Pence and Olette: Not a very important trio like the others, but it should be counted. 6º) Namine, for the time being, is alone. But she could get her own Trio in the future. One of its members should be Riku Replica, as I believe we haven't seen the last of him. + Data-Sora: I believe he could gain importance in the future. + Ira, Invi and Aced: This three are going to be enemies in the future, but if they are freed from the darkness, I believe they could form their own trio. + Ephemer and Skuld: Some other of the Dandelions' leaders could form a trio with these two, maybe Brain. + Lauriam/Marluxia and Elrena/Larxene: Along with Demyx or Luxord, we could have another Trio. + Gula and Ava, Strelitzia and some others are potential candidates for trios. There's something funny around here. Until now, the whole thing was about 13 Darknesses vs 7 Lights. But now, with the new situation coming, it seems numbers are going to be inversed. You see, now we are going to have 7 Darknesses (Master of Masters, Luxu and the 5 Foretellers) against 13 Lights, leaded by Sora. 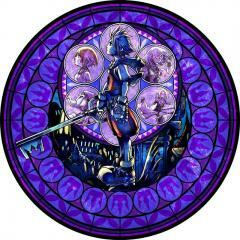 + Riku Replica could be Nº 10, as he helped Riku to face Darkness. Yes, I know we saw him disappear, but I have a hunch than we haven't seen the last of him. + Terra became Nº 11, after Sora finally freed him from Xehanort's heart. 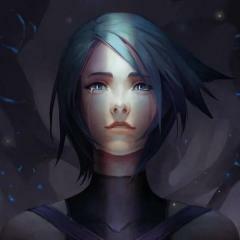 + Xion became Nº 12, after her memories were restored and freed from the Organization's control. + Roxas became Nº 13, after being finally restored thanks to Ienzo and the others. So, same numbers, but changed sides. Interesting, huh? + Epilogue: "On our way" (When the Trio saw Pluto with Mickey's letter). + Secret Ending: "Another Side, Another Story"
+ "Eventual Extension": "Deep Dive" (from Final Mix). + Ending: Xenma's defeat and return to home. + Secret Ending: "The Gathering"
+ "Eventual Extension": "Birth by Sleep". + Ending: Final Chapter's ending. (After completing the other 3 chapters). + Credits: Final Chapter's credits. + Epilogue: "Ventus Stays with Sora". + Secret Ending: "Black Points"
+ "Eventual Extension": "A Fragmentary Passage". + Credits: Credits and Minigame (Secret Message Unlocked). + Epilogue: Sora and the Spirits/Ventus. + Secret Ending: "Another Guardian of Light"
+ Ending: Talk with Namine. + Secret Ending: "Signs of What's Next"
There are some patterns too into the content of the game, but I will talk about them after some replies. Please, it's too soon for even thinking about Kingdom Hearts IV. The next game will surely be an "in-between" game to solve the mysteries of the Secret Ending. + Similar to "Chain of Memories" and "358/2 Days" between KH-I and KH-II. 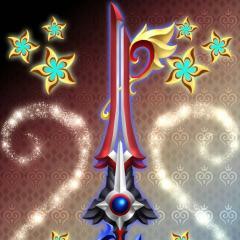 + Or like "Birth by Sleep", "Coded" and "Dream Drop Distance" between KH-II and KH-III. Thanks, pal. I forgot about these points. I don't know about Nº 14, pal. Yes, I know that too. I don't undestand why this scene was cut too. (I think I heard something about problems with the names "Magia" and "Aegis", but I'm not sure about it). With these details, I think it's obvious this can't be a coincidence. There must be a connection somewhere here. I know, but Rapunzel's case was special. Rapunzel's hair was her weapon, but after being cut, she can no longer help Sora's team. (Unless we count the story from the animated series, which I doubt since Rapunzel will eventually lose her hair again; because she married Flynn with her short/brown hair). Elsa could have been a teammate too because she has the ice powers to fight; but instead, they gave us Marshmallow. However, I just thought about something funny. Do you remember how all the princesses got "modern/comfortable" new clothes thanks to Vanellope? Well, now I believe in Kingdom Hearts they could get similar clothes; only this ones similar to Sora's style. AND, to make them more capable, maybe they all could get a Keyblade based on their homeworlds or something. Don't you think? I have quite more to comment, but I will wait for some comments before continuing.